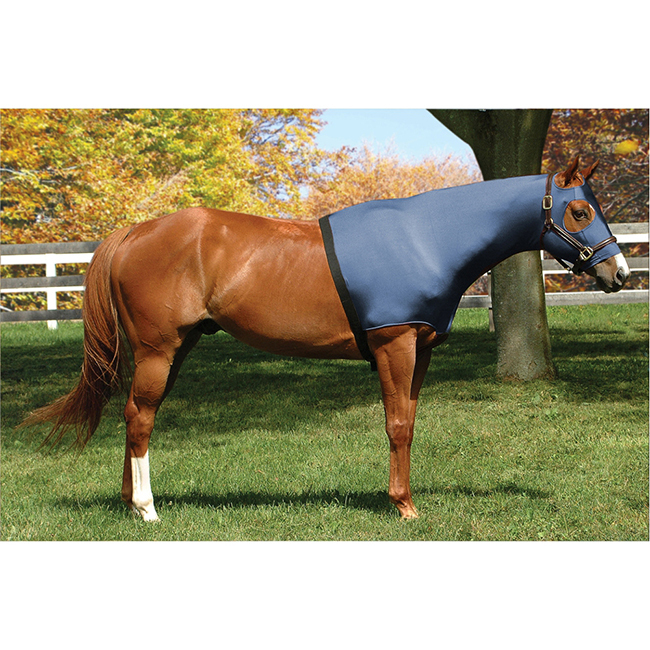 Designed to keep your horses neck clean, and the mane from losing hair. Reduces rubbing over shoulders and protects braids for show days. Reduces hair growth by adding an extra layer of warmth and comfort while polishing the coat. Fully adjustable, easy to fasten zipper closure. Easy close heavy duty buckle, wide elastic and center yoke. Non restrictive four way stretch. Finest quality available. Sizes to fit most horses.